This 5 piece Woodland Outdoor Log Set looks great on 19" or 25" Fire Pits. The style of this log set looks very natural on fire pit and has partialy charred looking pieces and extra wood bits to complete the look. 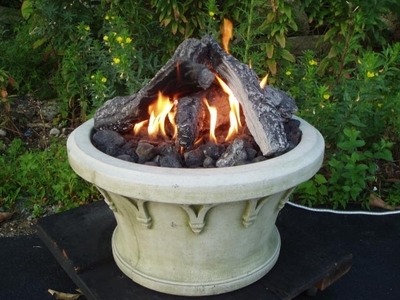 This log set is made for outdoor use but it can also be used indoor to replace an existing set.